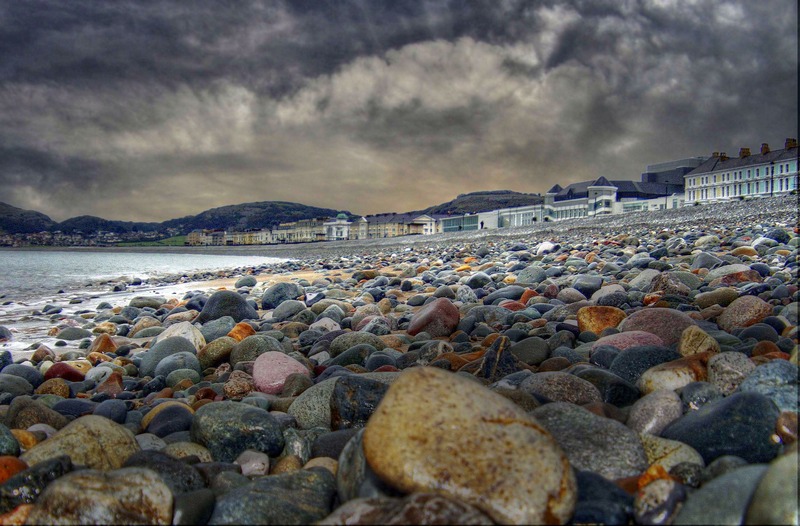 Nestled between the Great & Little Ormes headlands, Llandudno is the largest resort in North Wales. With a lovely sweeping promenade with plenty of seating and stunning views, Llandudno is a perfect location for a lovely relaxing holiday. The wonderful Snowdonia National Park is only a short drive away, and with some of the finest scenery anywhere in Europe, is a magnet for holiday makers. The Evans hotel is ideally situated on the level, in a quiet position close to the town centre, and only 400 yards from the promenade. The Evans is a friendly, family run hotel priding itself on the service and cuisine offered in the tastefully furnished dining room. All rooms are fully en-suite with satellite tv, tea/coffee making facilities and full central heating. A lift serves all floors. Entertainment is provided in the hotels spacious bars, complete with a fully inlaid dance floor. Other facilities include a games room with a full size snooker table, skittles, darts and pool table. 4 Nights – A full day touring the exhillerating Snowdonis Nstional Park and its stunning scenery. Half day excursion to the Isle of Anglesey. 7 Nights – A full day touring the exhillerating Snowdonis Nstional Park and its stunning scenery. Full day to Caernarfon and its magnificent castle then onto the seaside resort of Criccieth, heading back via more stunning Snowdonian scenery. Full day at the Welsh Mountain Zoo. Criccieth is situated in Cardigan Bay on the south coast of the Llyn Peninsula, where the edge of Snowdonia National Park meets the sea. Criccieth’s two Blue Flag Beaches are separated by a headland fortress which dominates the landscape and possesses a fascinating, forceful history and is well worth visiting. The resort is full of Victorian character and awash with floral colour all year round due to its temperate climate. Numerous restaurants many with dreamy views across Cardigan Bay, make Criccieth the perfect spot for exploring Snowdonia’s mountains and the Llyn Peninsula both designated areas of outstanding natural beauty, and making the most of the fantastic sunsets. Famed for it’s welcoming atmosphere, care and a genuine desire to offer everything that the visitor requires, the Lion Hotel has 46 en-suite rooms, some within the Castle View Cottages and all with modern facilities. All are as you would expect from a period building, very different and individual. They range from antique furnished twin bedded rooms to contemporary suites. All bedrooms have central heating, flat screen tv’s, tea & coffee making facilities, direct dial telephones and a hairdryer. Every en-suite has a shower (many also have a bath), WC, hand basin, shaver point and toiletries. The hotel offers regular live entertainment and quiz nights and the lift in the main building serves all but 3 rooms. 4 nights – Full day via the coast road to Pwllheli then onto Caernarfon. In the afternoon inland to Llanberis, at the foot of Snowdon. Full day to Portmeirion Village. The resort of Tenby is one of Wales’ most popular destinations and places of interest with thousands of visitors descending to the historical town all year round. The picturesque town itself is almost surrounded by award winning beaches and provides views over the Gower Peninsula and Carmarthen Bay to the east. To the south you have views over the popular Island of Caldey where the local monastery housing Cistercian Monks can be found. Tenby is one of the prettiest resorts in Wales, unspoilt by commercialism and retains its natural seaside charm, especially along narrow winding streets that lead down to the colourful walled harbour. All along the sea front where there are seats and shelters at vantage points to view the magnificent coastal scenery. The resort is split by a rocky headland into two beach sections, north and south, the harbour is to the north. The Belgrave Hotel is situated on the sea front with fantastic views overlooking the sea to Caldey Island and beautiful golden beaches. There is level walking to the shops in the quaint little town and harbour. All bedrooms are en-suite with television and tea & Coffee making facilities, a lift serves all floors and there is a separate lounge overlooking the sea and a lounge bar with entertainment. Please note that all rooms are accessed via stairs. All holidays – Full day to Cardigan and St David’s with a scenic drive along the Pembroke Coast National Park. Full day to Carmarthen and Saundersfoot.